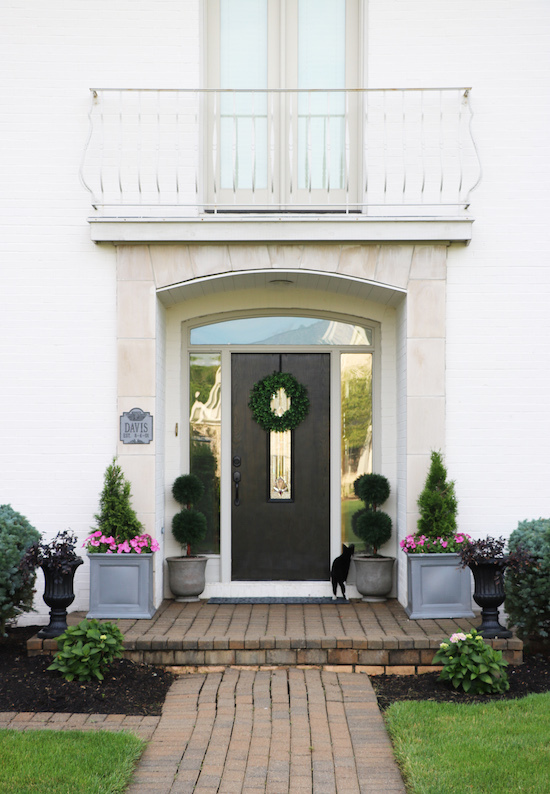 Front Door Makeover - Sincerely, Sara D.
Created to create. Join me in my DIY home decor endeavors! 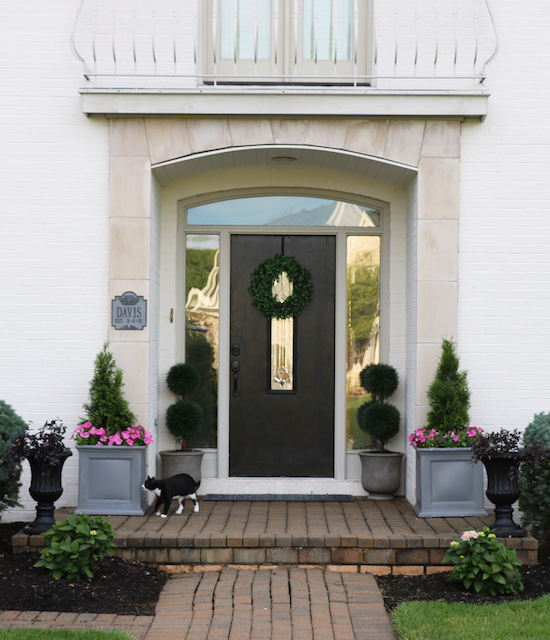 Our home is considered “french chateau” in style, and I have never loved our front door. It was originally red when we moved in over two years ago. 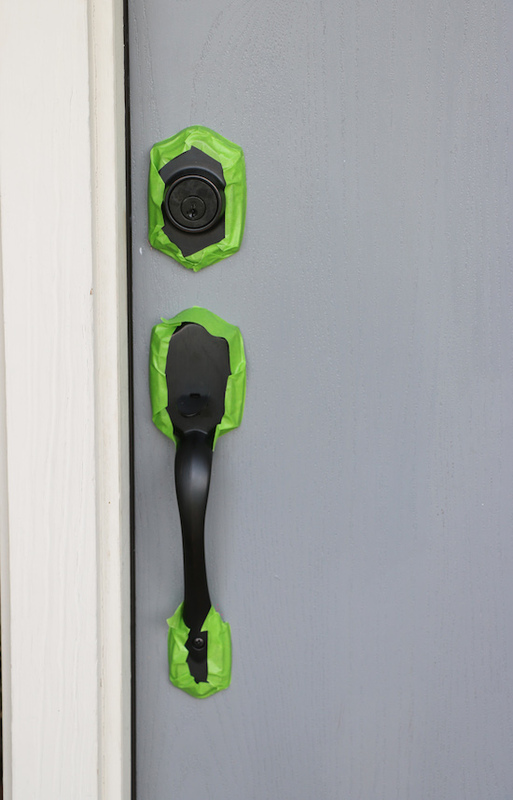 Although I would love to eventually replace the front door, painting is always a less expensive option. I painted it a medium gray. Grays are so hard because they can shine blue, so I decided you can never go wrong with black. 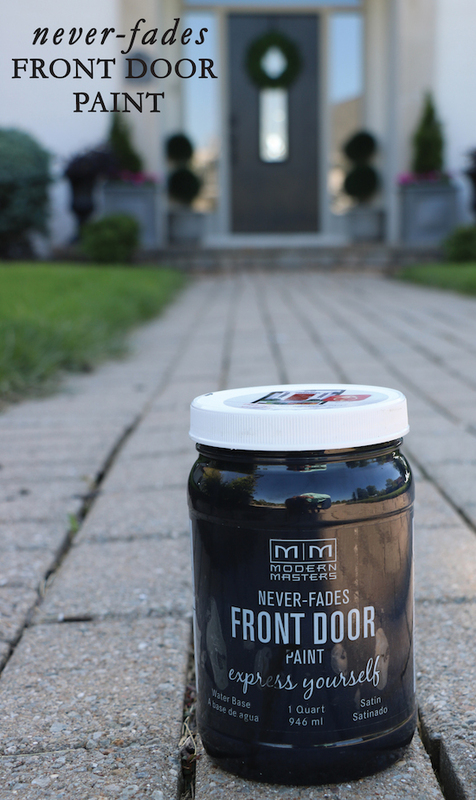 Modern Masters sent me a jar of their never-fades front door paint, and I actually used it to paint one side of my front door (along with two doors in our garage). I still have enough paint to paint one more door! This paint makes it so easy. All you have to do for prep is clean and tape off areas you don’t want to paint. If you have some peeling paint, you’ll want to sand first and follow up with a cleaning. 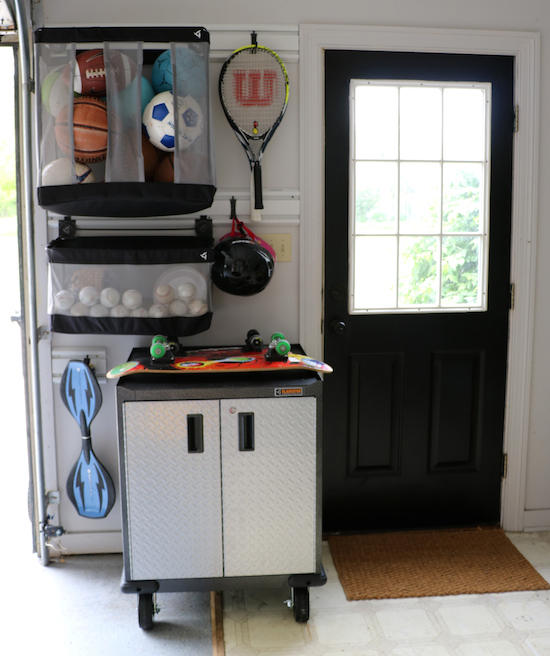 But if you don’t have any peeling or chipped paint, just clean your door and go for it! My front door has a little bit of a faux wood grain texture, and the paint went on well and dried perfectly. My garage door has a smooth finish but had a sloppy layer of latex paint on it. I wish I had sanded it down a little because the paint finish is a little uneven. However, I have not seen an scratches in the paint which I had plenty of with the latex paint. 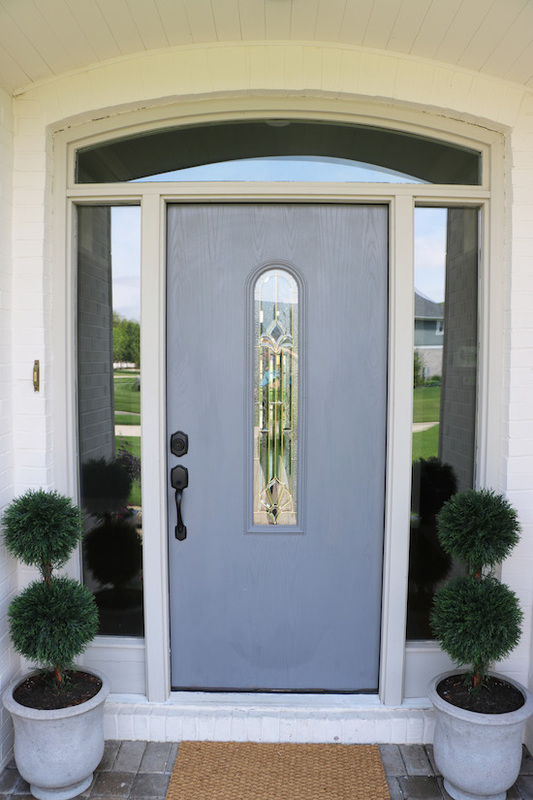 What is your favorite front door color? Do you prefer to play it safe like me or have fun like my daughter? *This post contains affiliate links and is a sponsored post by Modern Masters. I take pride in reviewing only products that fit my brand and will be beneficial to my readers. And while this post is sponsored, all the opinions are my own. Subscribe to receive weekly DIY decor ideas AND receive a FREE copy of my Painting Furniture eBook which includes detailed tutorials! Success! Now check your email to confirm your subscription and receive the eBook, Painting Furniture. View all posts by sincerely, sara d.
Sign up for FREE weekly DIY/decor ideas AND a receive my eBook, Painting Furniture! 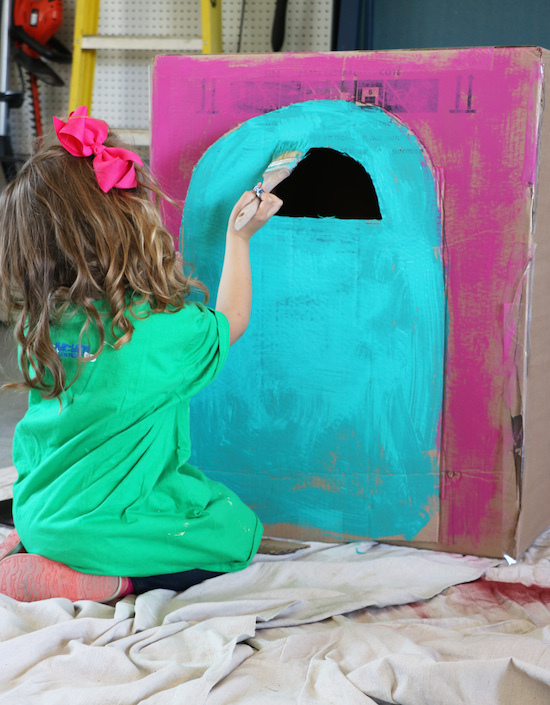 Learn how to paint furniture using 5 different types of paint!